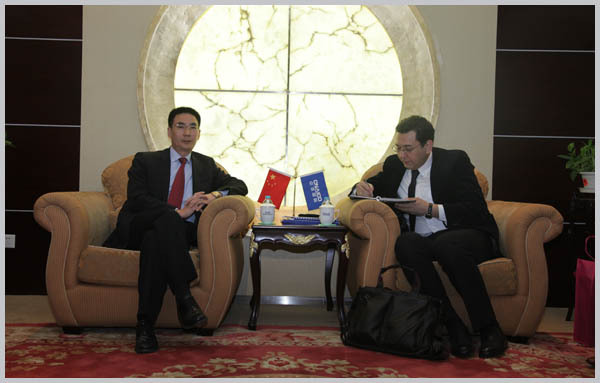 On April 28th, President Ji Xuecheng met with Mr. Ulugbek Holmatov, the visiting Deputy General Manager of Uzbek-Chinese Trading House Limited. Both parties exchanged views on cooperation. Vice President Han Xiaohong joined in the meeting.